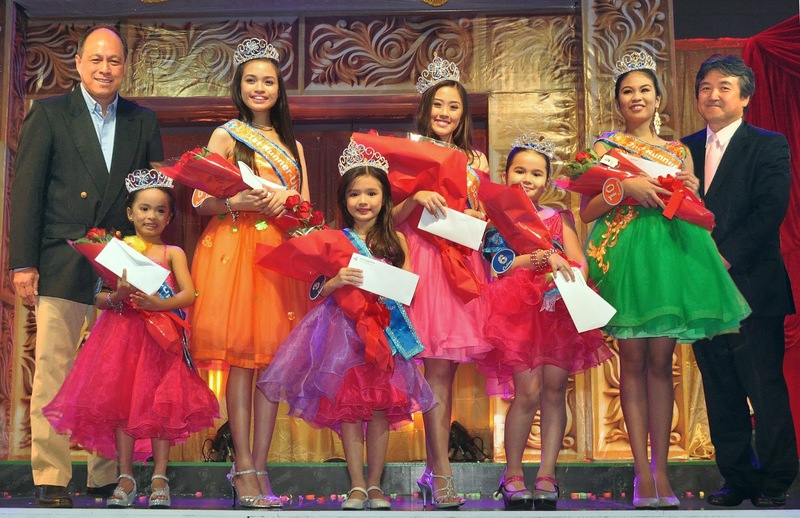 Cebuana girls crowned as Little Miss Solane Cuties and Teenies. The heritage pageant that empowers girls to be talented and successful women in the future, Little Miss Solane, has crowned Marydee Manayaga and Duchess Blythe Uybengkee as this year’s winners for Cuties and Teenies categories. Isla LPG Corporation CEO Ramon del Rosario, 1st runner up winners Steph Netthel Redne Yamut (Cuties) and Ma. Dominique Trillana (Teenies), Little Miss Solane 2014 Cutie Marydee Manayaga, Little Miss Solane 2014 Teenie Duchess Blythe Uybengkee, 2nd runner up winners Ashley Kate Arindain (Cuties) and Kyla Angelica Marie De Catalina (Teenies), and Isla Petroleum and Gas CEO Shoichi Watanabe. As grand winners, Marydee and Duchess each won P50,000 cash plus P50,000 worth of scholarships and developmental programs.